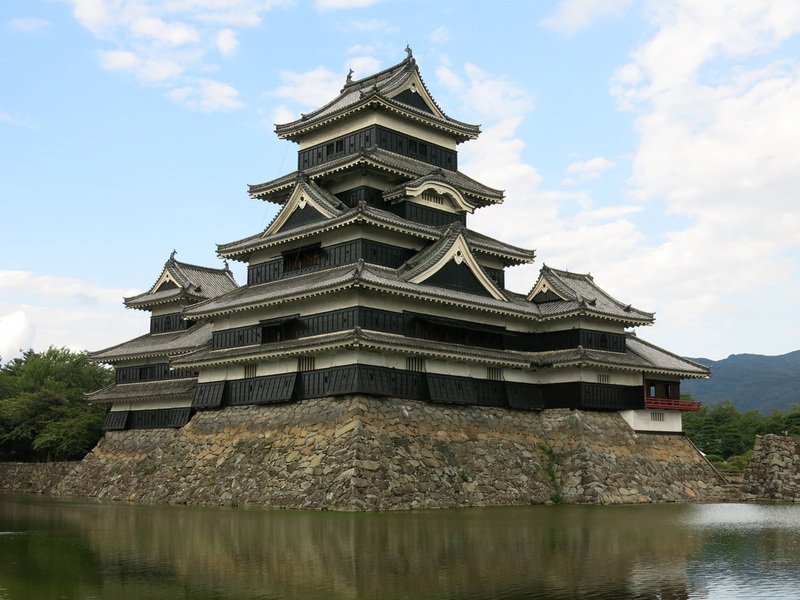 Japan’s Edo period (1603 - 1868) saw a proliferation of castle construction. Shoguns ruled sections of Japan under strict guidelines promoting economic growth and cultural development. The shogun rule ended in 1868 when Emperor Meiji restored imperial rule. 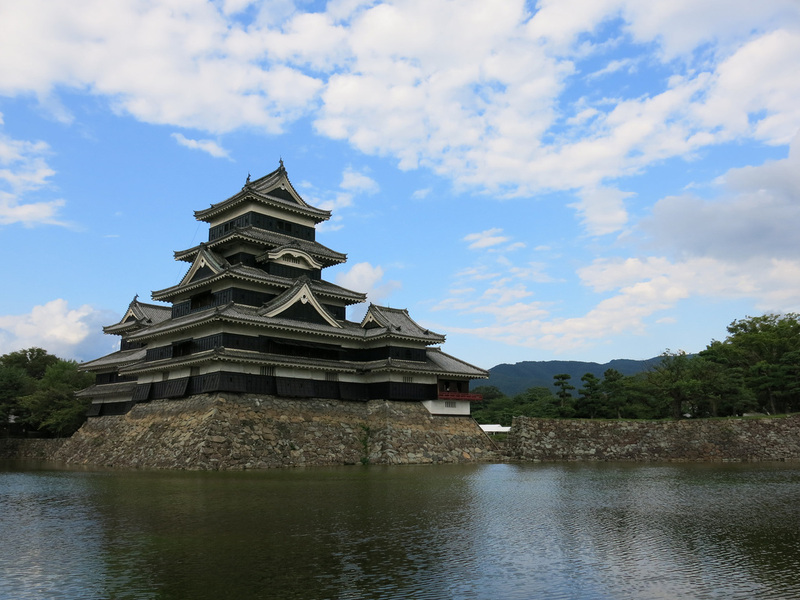 The ensuing Meiji period saw the abolishment of the shogun system and castles fell into a state of neglect. Today most castles are post WWII reconstructions and even the “original” castles have received a high degree of restoration. 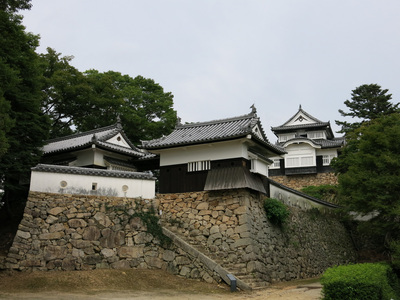 The interior of the castles have been converted to museums and contain various artifacts from the Edo period: samurai armor, weapons, dishware, etc. The Castles have much more impressive exteriors than interiors. Castle visiting should be a part of any Japanese travel itinerary but with so many options how do you choose - I started by simply going through a Google images search of Japanese Castles, found the coolest looking castles, then did a little more research on location and reconstruction efforts. Below are the castles I visited. Himeji, Matsumoto, and Bitchu Matsuyama are all originals. If there's a "must see" castle the "White Heron" castle would be it. 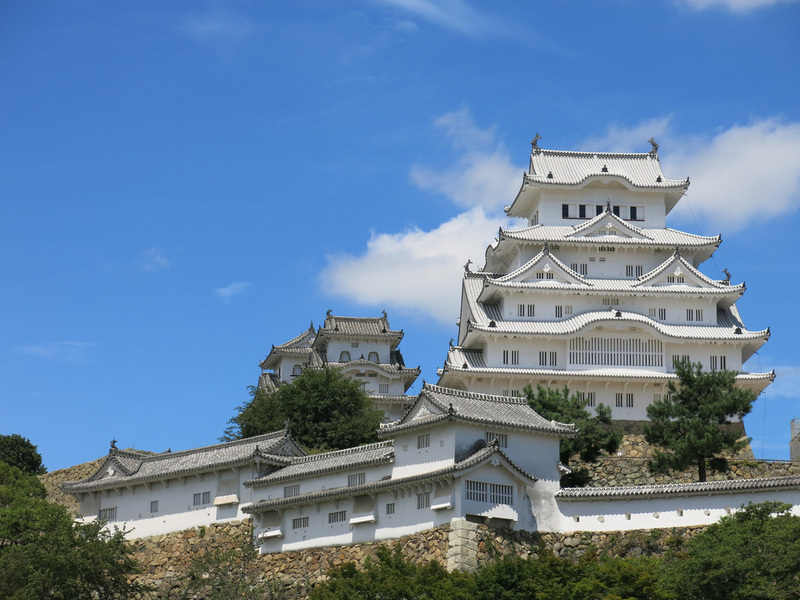 As soon as you leave the Himeji Station you can see the castle perched upon a hill dominating the skyline. The grandeur only grows as you make the twenty minute walk to the castle's gate. The castle is easy to reach - it's only a thirty minute Shinkansen ride from Osaka - but current restoration limits prevents access to the keep...still Himeji Castle a pretty amazing site from the outside. 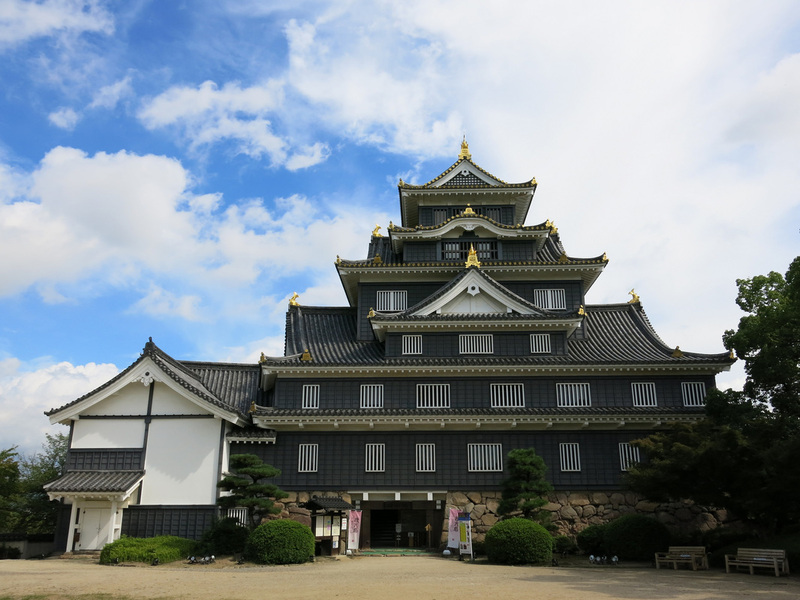 If there's a second "must see" castle Matsumoto may be it, although reaching the castle would entail taking a day trip from either Nagoya or Nagano - neither of which make it on too many traveler's itineraries. 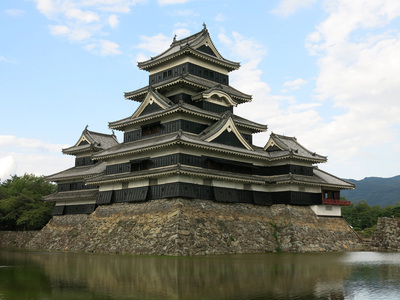 Matsumoto's black exterior seems to boldly rise out of the moat and stand out against the blue sky. If you are willing to wait an hour you can eventually reach the top floor of the six story castle. As an added bonus, on certain summer weekends the city of Matsumoto holds an Oktoberfest event with locally brewed Hefeweizens and soft pretzels. 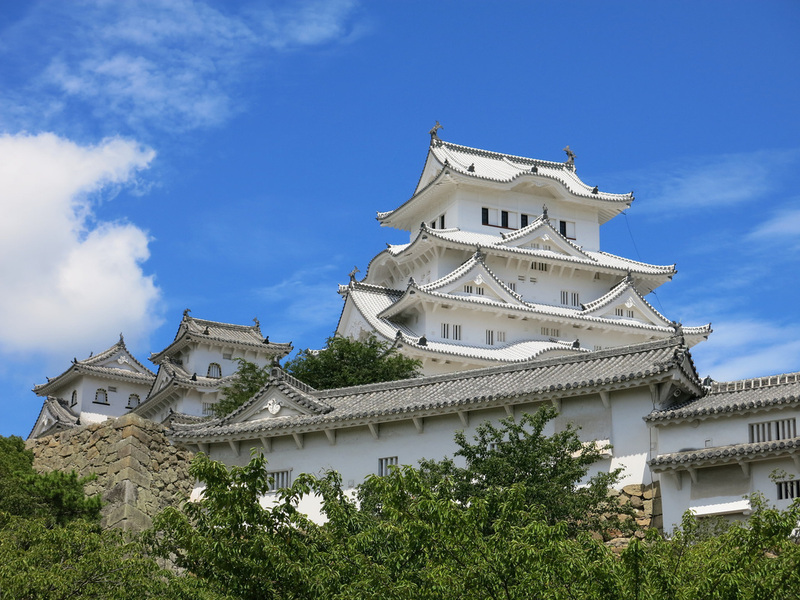 Okayama Castle is the "Black Crow" to nearby Himeji's "White Heron". The riverside castle is a bit smaller then Himeji but nearby is Korakuen Garden - one of Japan's top gardens. The castle was destroyed by WWII bombing and rebuilt in 1966. 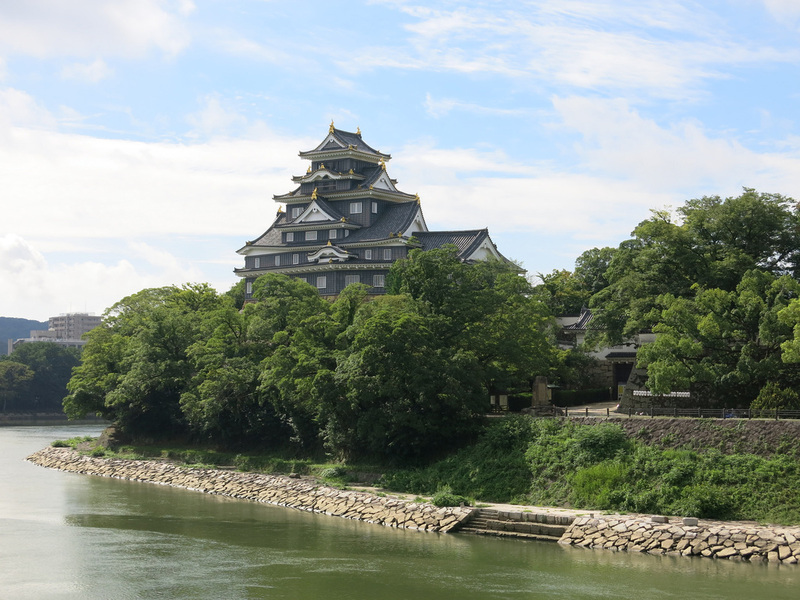 There's not much else to Okayama but I'm partial to the city because it was the site of the best meal I had in Japan - okonomiyaki, scalloped potatoes, and scallops right off the hibachi grill. Bitchu Matsuyama is an original mountain castle that looks down upon the village of Takahashi. There's a short but steep hike from the city below through a forest to the castle. 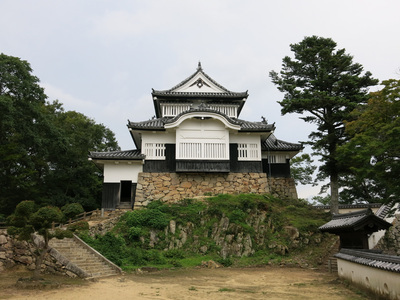 In addition to the castle the village of Takahashi has a samurai house. The village also is nice to walk around before hopping on the train to see how Japanese outside the city live. For additional Himeji, Okayama, and Bitchu Matsuyama photos see FLIKR ALBUM. For additional Matsumoto photos see FLIKR ALBUM.